What accessories does the screen come with? The early batches of Clevertouch V-series included a 2m mains lead and remote control. The later batches now include a mains lead, HDMI, USB, VGA, stylus pens, remote control and a mini jack cable. 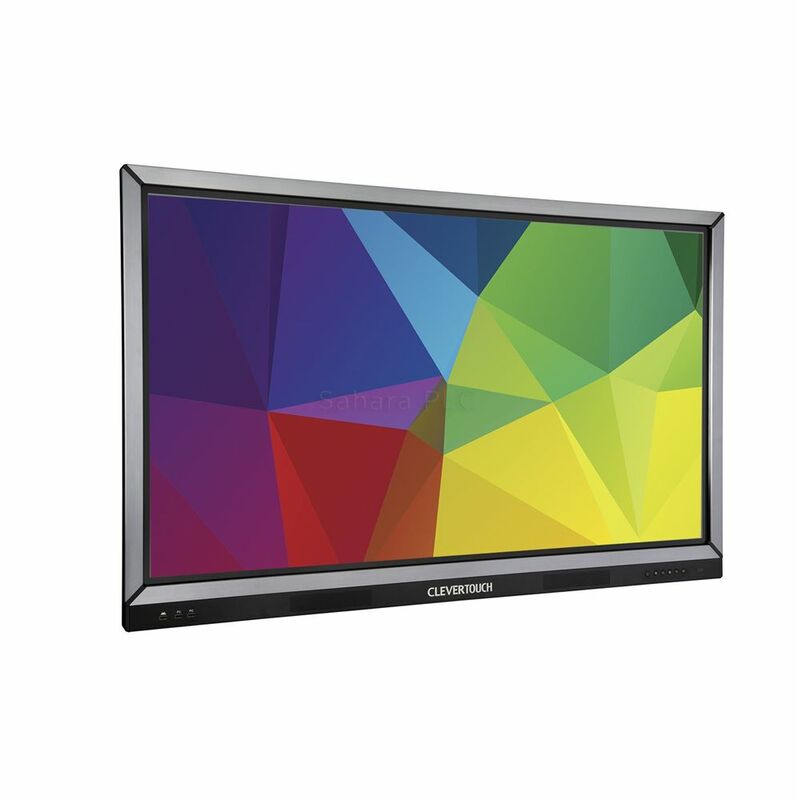 Can I use a Clevershare with a Clevertouch V-series? No, the Clevershare cannot be used with a Clevertouch V-series. Can I use a Blade PC with a V-series? Yes, you can use a Blade PC with a V-series. Is Cleverstore available with a V Series screen? No, the Cleverstore is not available with a V Series by Clevertouch screen.